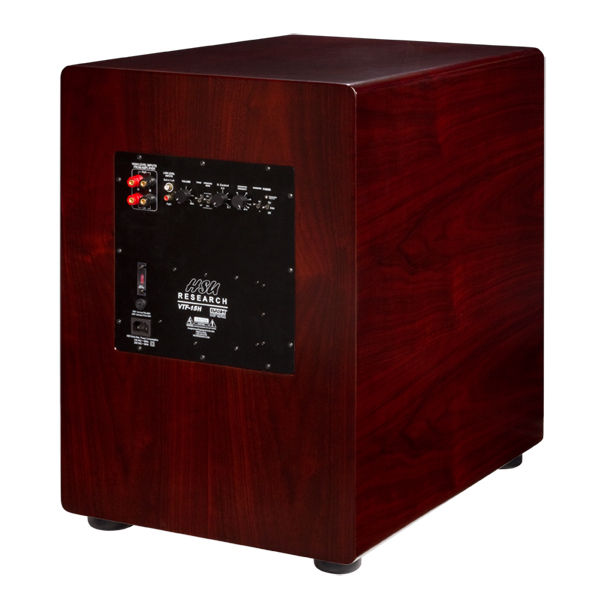 The VTF-15H features new integrated flare triangular ports (patent pending), variable Q control, and hybrid operation (including both sealed and ported modes). 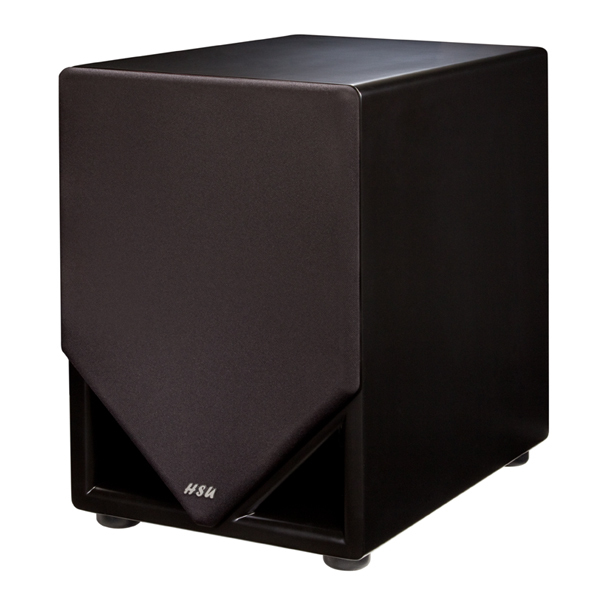 Between the Q control, operating modes, and EQ choices, this is the most flexible subwoofer we have offered to date, catering to virtually any audiophile’s preferences. 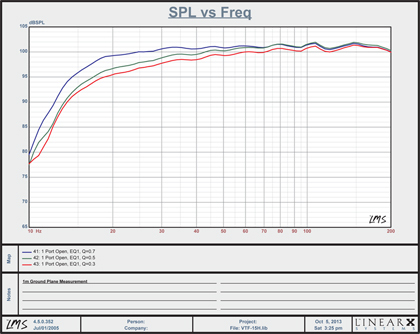 The 15-inch woofer is a very low Q (0.25), low inductance woofer resulting in very high efficiency and high headroom. 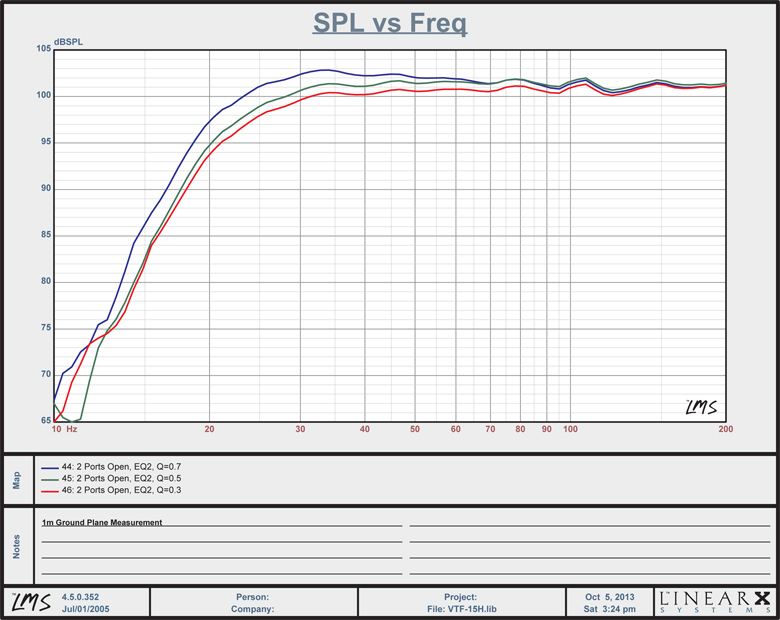 Bass is extremely tight, especially when you set the Q control to a low Q. 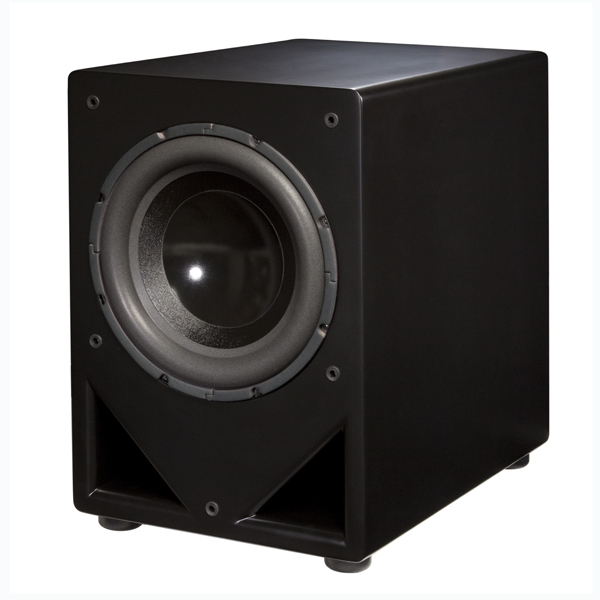 The use of the new integrated flare triangular port allows us to get the biggest possible port for each subwoofer. We are no longer limited by diameter of standard size port tubes. 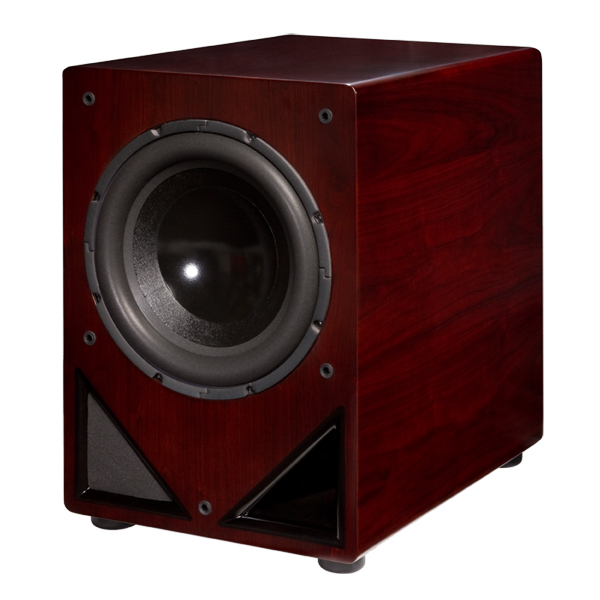 The triangular ports tuck away nicely in the corners of the panel, allowing a compact panel size to accommodate a large woofer and large ports and yet provide a visually striking look that matches the expensive real wood finish or custom black paint, much higher quality finishes than most of our competitors. In fact, the subwoofer, in our opinion, is also our best looking sub to date. It has a refreshing, unique and stylish look. "Despite the fact that these tracks contain some of the most intense low bass I've heard (as low as 16 Hz on "Symphony No. 3"), the VTF-15H coasted through them as easily as if they were solo flute recordings." 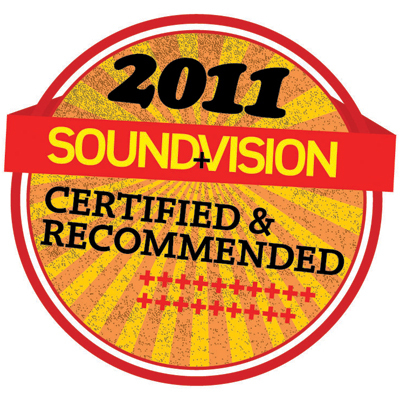 "Not only was the output incredible, the entertainment experience it delivered was singular." 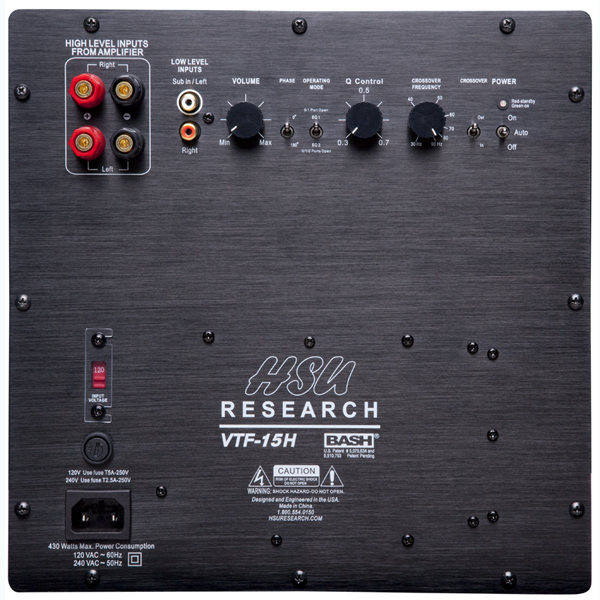 "VTF-15H delivers absolutely everything they expected and probably even a bit more." "If this sequence [Space Shuttle launch] on your present system doesn't induce panic about a subwoofer-generated-damage clause in your homeowner's insurance, you need a better sub. Like the Hsu." "It's hard to visualize a subwoofer priced this low that needn't apologize for the quality of its bass, its low-end extension, or its setup flexibility." I got my VTF-15H last week and have a little bit of a review. I first heard the VTF 15 in my room about 6 months ago as a friend of mine brought his over to play around in my theater. At that time we did not do the required flat response setting before running Audyssey and the sub was lacking midbass during the time I had with it. 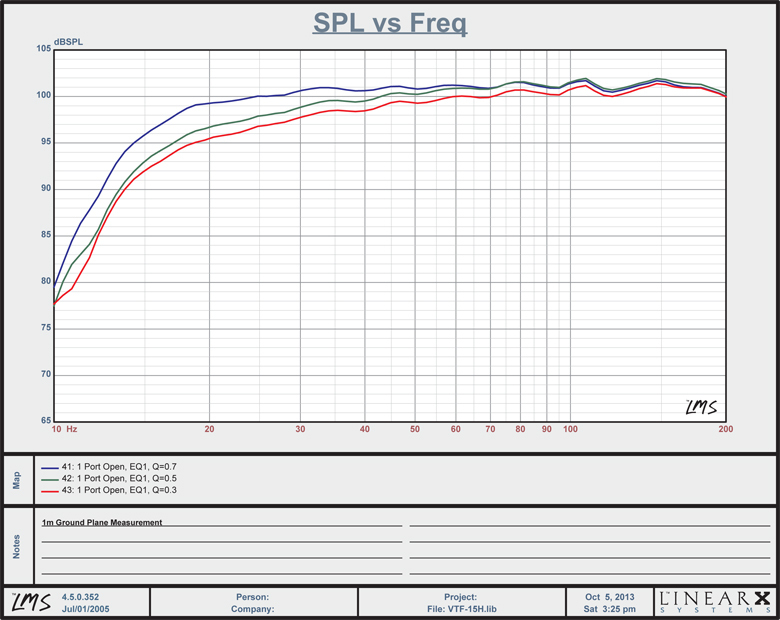 When i got my sub did the EQ1, Q=0.7 and one port open recommended by Dr. Hsu and ran the calibration with my Denon amp. After calibration the difference in sound was incredible. There was almost too much midbass! I plugged in one of the ports and that did the trick as I have a lot of gain on my room. 1. Soundstage was bigger and even in ported modes music was tighter than the regular MK 2.3 and Epik Empire and PB-13. 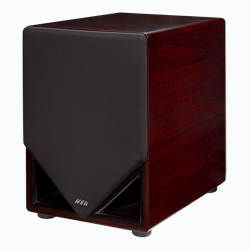 2 The VTF-15 hits much harder and digs much deeper than the Empire in my room and yes...shakes things up a lot more too. The PB -13 of course hit a bit harder but in my room but I will never use the extra watts the 13 has and of course it cost twice as much! 3. The best part is the customizing of the tuning through the Variable Tuning Hybrid Technology! It's true, when you buy this sub you are getting 5 SUBWOOFERS in ONE! And what blows me away is that this function is available on a sub for under $1000!! 4. Movies....LOUD, DEEEEEEP, CAVERNOUS, TIGHT AND FAST! 5. Music.....First of all, Hsu is legendary for have PORTED HT subs that can also play music with accuracy and finesse.....NOW even more so! In the ported modes the sound was incredible, bass lines from my favorite concert dvd's had the punch and accuracy in the one port open and sealed modes...if I wanted a fatter more pronounced sound all I have to do is use the 0.3 0.5 OR 0.7 modes with two ports open and even in these mode it still sounded fantastic. This is the reason why I sold my PB13 and passed on the empire!! 6. With all of the subs that i have tried, Dr. Hsu has hands down creates the best 50% home theater and 50% music subwoofers on the market but with your wallet in mind! And with the new line of subs now with the Variable Hybrid Technology feature...NOW EVEN MORE SO! "This might just be my specific room and particular situation but at least I now know that this sub can definitely reach down below 16 Hz with "earth shattering" bass ( Radio Shack meter is not very accurate at lowest LFE frequencies ). I am extremely pleased with the HSU VTF-15H without the SMS-1 ( but I am using the auto Audessy EQ on my Integra DTC-9.8 ). Thanks for reminding me of War of the Worlds, I just got finished with the Blu Ray ( Master HD-DTS audio track ) and I thought my entire house was going to shake apart! When the Aliens first come up out of the ground I could swear they were coming up through my family room floor! This sub hits harder and deeper than my Velodyne HGS-15X did at half the price! The "fun factor", i.e. feeling explosions, etc. is also a quantum leap above the Velodyne." "Read through some of the movies with Bass thread and I finally got a chance to see what the 15H can do. I popped in War of the Worlds, and I was blown away by how much the sub shook the room and how much bass I was feeling! I never knew this film carried this much Ultra low bass! I would love to add a second one of these subs but after that movie, my wife thinks I am nuts for wanting another one . My hats off to Dr HSU and the HSU staff for putting a grin on my face!" Just wanted to let you know that I received the sub earlier this week and it is AMAZING!! Thank you so much for your help in placement as well! I placed it both at the corner location shown on my sketch, as well as in-between the couch and single chair as you recommended. Both locations sound great, however in-between the chair and couch I would say sounded a little tighter and deeper (both ports open, Q.3). Unfortunately my wife likes the corner location better so I had to place it there, but it still sounds pretty freaking amazing!" "Worth every penny! 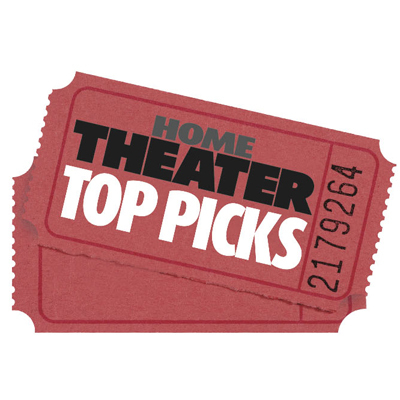 These dual vtf 15s are the best purchase I've made for my home theater." "I dusted off the old Iron Man blu and watched it today for the umpteenth time and all I have to say is wow . The scene where Tony first built the suite was Amazing!!! When he was walking out of the cave and the bass from the footsteps had me getting cold chills. I thought I had all of my shakes and rattles all toking care of in my room but I was wrong I started replaying the scene over and over again until I found them all and fixed them up. Man do I love this sub . Its such a pleasure going back and reliving all my old blu's like I'm watching them for the first time! Thank you Dr.Hsu for making such a great product that has me in awwwwws every time my family and I watch a movie "
"So you're telling me my vtf15 will get even louder!! Wow!!! I currently have mine running at .4 or so with one port plugged on eq1. It sounds fantastic!!! I played the scene in return of the kings where the giant elephants come in and the guy is blowing the horn and wow it sounded amazing! This sub is an awesome piece of equipment and dare I say a real bargain for the price. " "Dr. Hsu, I just wanted to send a note praising your 15H subs. I purchased a pair recently and slid them into opposite corners. 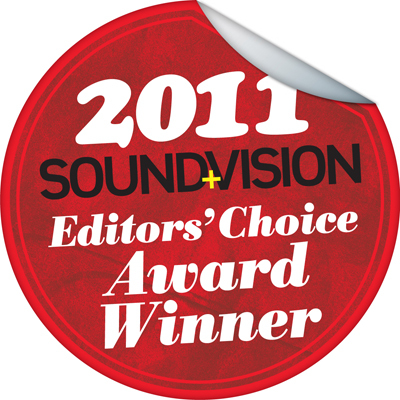 Without any tweeks, except gain, they proved to be excellent subs right out of the box. At first, the gain was too high and almost broke the glass in the adjacent French doors! These subs replaced a Revel B-15, which doesn't come close to the performance of one of the 15H's. At least for my difficult room, these subs provide all the bass I will ever need. Also, the rosenut finish closely matches the Salon's rosewood panels which made my wife happy. The styling and finish are beautiful. The only thing missing on the 15H's is a balanced input. I was afraid of picking up hum with unbalanced cables (as in the past) but the unbalanced cables I purchased from you are totally inert. The 15H's are as good as any other sub on the market. It would be foolish to spend thousands more on lesser quality subs." "Dr. Hsu, it's not hard to be excited about a product when I'm so impressed with its performance & flexibility. It wasn't until I spent a couple nights measuring, adjusting & EQing that I really appreciated all the modes that the VTF-15H has. If I had a peak or a dip, for the most part I was able to address it with an adjustment on the sub. Once I got it as flat as I could, I applied some EQ to tame the peak I still had. Once that was done I was floored by what I heard. Having the system calibrated correctly really sounds incredible to me!" 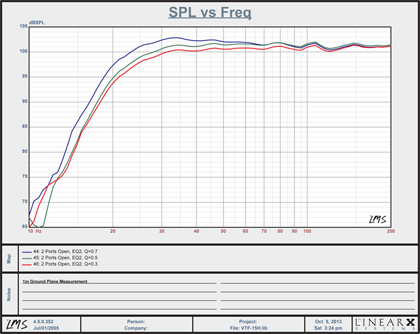 "I just wanted to thank Dr. Hsu and Hsu Research for the subwoofer demo and advice on which model to buy. I finally have the VTF-15H up and running in my house. It is incredible! I now realize what I've been missing on the low end of the frequency spectrum. I was particularly shocked at what I could hear from it even at lower listening volumes. A magnificent sub and an incredible value." "After much delay, I finally got around to replace or upgrade my entire home audio system. Selected the 5.1 Hybrid 15 speaker system. Never realized how much music I was missing nor how big that sub actually is. People who have come over to hear my new toys, have actually complimented me on the nice end table (VTF-15H sub) that I just purchased. Since I live so close, I was able to audition the speaker system at the Hsu Research office. People were genuinely helpful, especially when they helped me load everything into my car."